This week I had the pleasure of receiving a lovely testimonial from this wonderful couple, whose wedding I photographed back in April this year. Adam & Amy, it was a privilege to be able to capture your beautiful spring wedding day and all the heartfelt moments within it. Thank you for your kind words. For bohemian bride Greer and dapper groom Dan, making a last minute decision to marry outside in the open air was perfectly fitting for their vintage-rustic flavoured wedding. 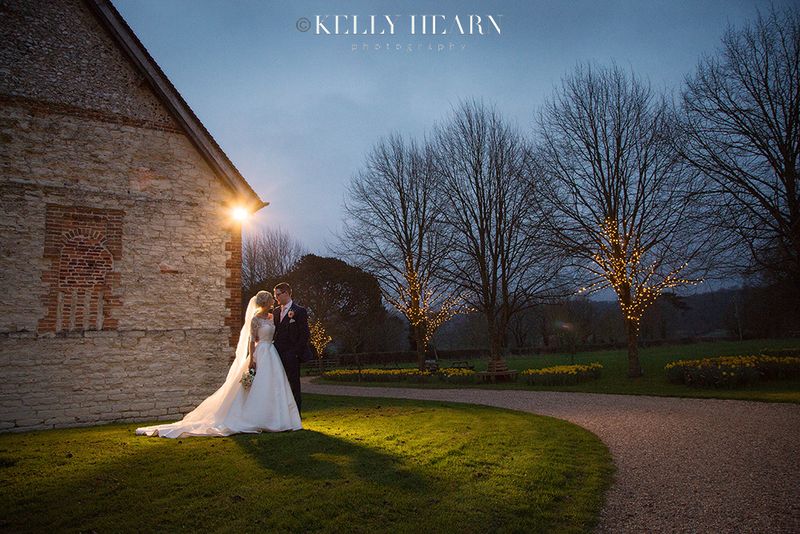 Both the ceremony and reception were to be held within some beautifully restored barns in the grounds of rural farmland set in the heart of West Sussex. 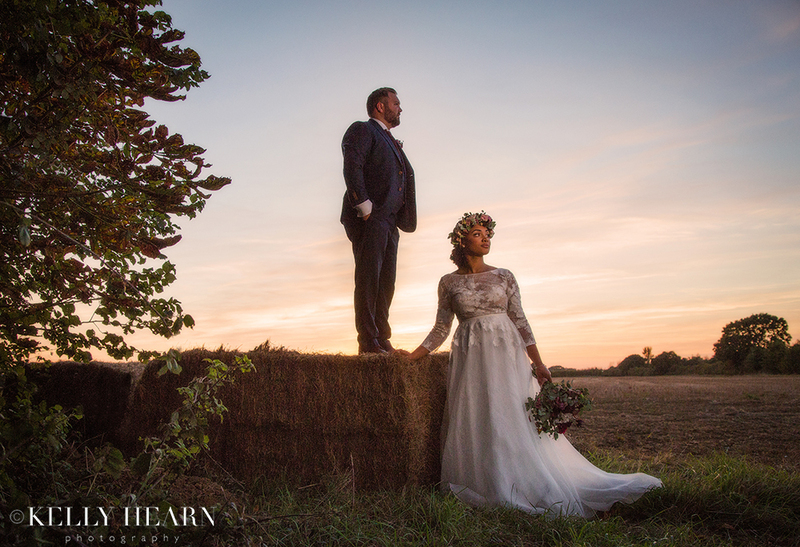 On that summery September day the bountiful countryside surroundings provided the essential and naturally beautiful setting that was saturated with dreamy moments as the low warm sunlight seemed to flood throughout every scene. With the sun on their side, this free-spirited couple seemed right at home surrounded by pretty blooms and exposed oak beams at every turn, but the warmth in the atmosphere can be largely credited to the charm of their vibrant personalities which truly shone throughout the day. 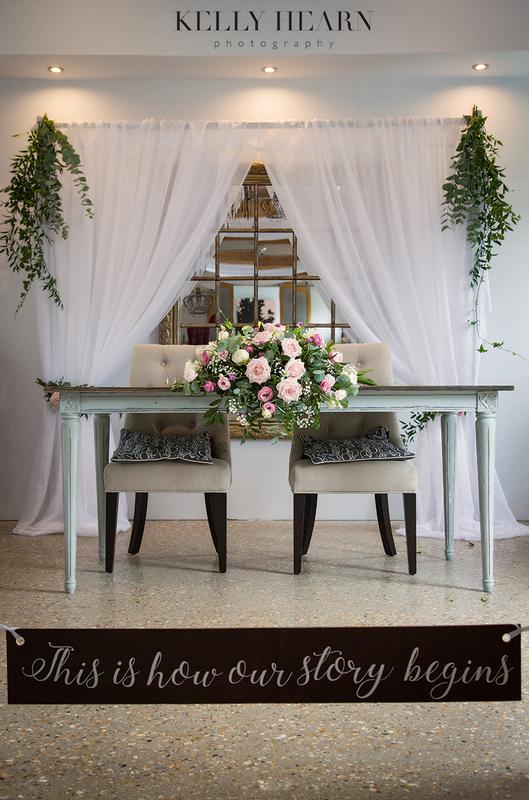 As the traditional wedding metallics of gold and silver have recently taken a small step aside, copper has stepped into the wedding limelight with all it’s rustic warmth and luxury vintage feel. Kirsty and Alex teamed this glamorous rusty accent with deep inky blues and sympathetic mink and peachy blush tones to create a unique and chic colour palette for their big day. Married at Southend Barns close to the stunning Witterings coast, this couple brought fun, family and a hint of scotch to their sunny summer nuptials, whilst leading the way with their sophisticated styling. This is how the story begins...With Kirsty and Dwayne, a couple marrying at the rejuvenated and contemporary styled dairy farm of Southend Barns, close to the infamous Witterings beaches. 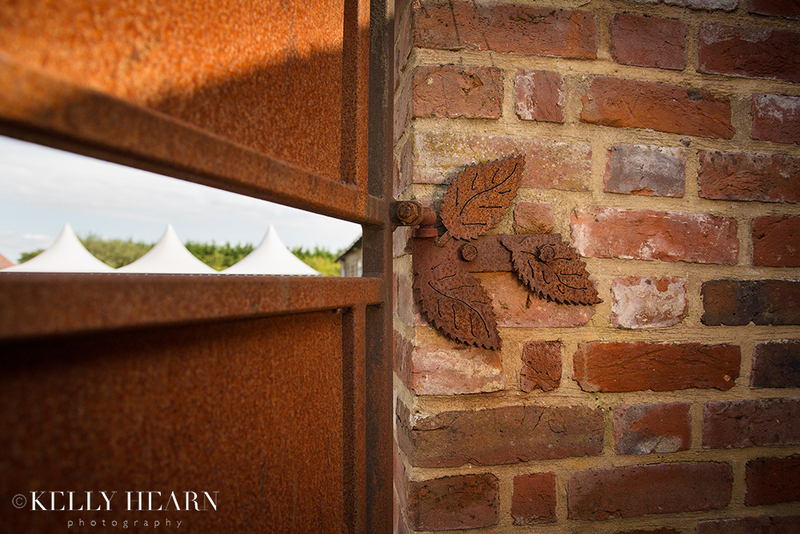 Set back in the beautiful countryside close to Chichester these lovingly restored barns, which still retain bags of rustic charm, were full to the brim with delightful decor and details that personalised the space in a array of creative and fun ways. The theme of this wedding was largely characterised by the stunning setting and summer feel and whilst the weather was warm and mild, the sky was an unusual shade of white. Like a blank canvas it perfectly enhanced Kirsty’s pastel pink motif for the day and the contrasting greenery of the ground’s lush manicured lawns and gardens. This bride and groom had made every effort to keep their guests happy at all times; their thoughtful attention to detail ensured that they had a thoroughly relaxed gathering of all ages, entertained from start to finish!